An important part of feng shui, bamboos are said to bring good luck and good fortune, especially if they were given as gifts. No wonder why we have seen bamboo plants popping up in offices, in businesses and in homes pretty much everywhere. 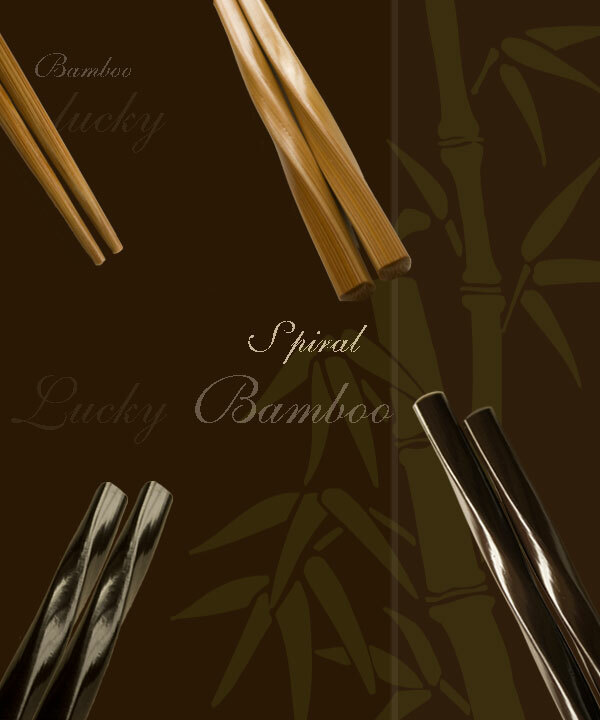 As they twist, our spiral bamboo sticks are meant to bring all ingredients for a happy life. In two attractive finishes (natural or dark brown lacquered) and pre-packed in our beautiful cellophane pouches, these chopsticks make a lovely gift, especially for a housewarming, wedding or Chinese New Year.